109 records – page 1 of 3. Photograph of Vancouver Heights Public School Division 3 class standing on the steps of the school, and spilling out onto the ground in front with their teacher Miss Mary A. Crossan. When this school opened in January 1912, 53 students ranging in ages from 6 to 16 were all enrolled under Mary A. Crossan. As the school population was booming, a decision was made to build a second building made of brick on the site to ease in overcrowding - the brick building is now named Gilmore Community School, and this wooden building no longer exists. Note on verso of photograph reads: "GERTRUDE O'BRIEN / VANCOUVER HEIGHTS PUBLIC SCHOOL / DIV. III MISS CROSSAN TR. / 1ST TEACHER AT GILMORE SCH. / C. 1912"
Note on recto of original reads: "Vancouver Heights Pub. 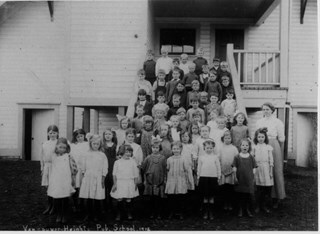 School 1912"
Photograph of Miss Scott's Division II class standing on the steps (as well as spread out in front) of Vancouver Heights Public School. Miss Scott is wearing a white blouse and a tie with her hair parted in the middle and pulled back. She is standing to the right in the third row. Most of the girls are wearing loose-fitting cotton dresses tied at the waist and cut just above the kneecap. The boys are wearing shirts buttoned right to the collar and sweaters. At least two boys are in sailor suits. 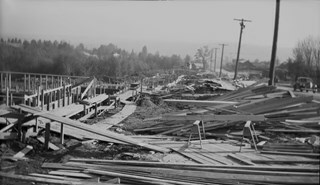 Annotation on the lower left of the photograph reads: "Vancouver Heights Pub. School, 1912. / Division II / Miss Scott, Teacher." Note written in pencil on verso of the photograph reads: "Mr. Tom Browning." Photograph of the Division One class at Gilmore Avenue School (this information is written on a blackboard at the rear of the classroom). A male teacher is standing beside the blackboard and the class is seated at their desks (each desk is attached to the back of the chair in the front). There are 21 girls and 14 boys. The boys are dressed in sweaters or rough sports jackets, baggy trousers, and open-necked shirts. Their hair is generally moppish, or parted. The girls are generally wearing sweaters and wide skirts, with several wearing necklaces. Most have long hair, pulled back and tied, or parted and hanging. Identified: (3rd row of desks, 5th from left) Mary Warren; (1st row of desks, 4th from left) Lena Horne (later Lena McManus). Mary Warren was the daughter of John H. Warren and Mary W. Warren (nee Slaven) who settled in Burnaby and built a house on Union Street in 1912. Mary Warren later became Mary Anthony when she married Bill Anthony. The teacher may be Stanley Griffiths. A blackboard on the left of the picture has math problems written on it. Above, a row of prints hang, among the ones identifiable are Shakespeare and the Fathers of Confederation. The room is lit by dangling electric bulbs. Inscribed on the negative, lower left of the print: "272." An annotation in pencil on the back of the photograph reads, "Mr. Tom Browning." In 1912 Gilmore Ave. School was only a tent as blasting and clearing was being carried out. Later that year, a four-room building was completed and pupils moved in. By 1914, another four rooms were added to meet increased enrolment. Four rooms were added again in 1922, and four rooms and an auditorium were added in 1929. The school was renovated in 1954 and 1955. A library was added in 1964 and six more rooms were built in 1967. The school was named after Hugh B. Gilmour, but an error by a municipal clerk in 1912 changed the spelling to Gilmore. Photograph of Miss Scott's class taken on the steps of Vancouver Heights Public School. The students are standing in seven rows and Miss Scott is standing on the left at the end of the second row. Note written in pencil on verso of card mount reads: "R. G. McManus/ 4257 Dundas St [top two lines crossed out]/ North Burnaby B.C" and "c/o Terry Lynn Callender/ TEACHER MISS SCOTT"
Note written in pen on verso of card mount reads: "AS OF FEB 28/85/ DAVID L. McMANUS/ [address follows]"
Embossed letters on the card mount reads: "W. F. McConnell/ VANCOUVER, B.C." Photograph of students standing in six rows on the steps of Vancouver Heights Public School. Note written in pencil on verso of card mount reads: "c/o Terry Lynn Callender"
Note written in pen on verso of card mount reads: "Jessie Horn -/ Mrs. R. G. McManus. ", and "AS OF FEB 28/85/ DAVID L. McMANUS/ [address follows]"
Photograph of a class of Grade 7 students standing in four rows on the front steps of Gilmore Avenue School. The teacher, standing in the back row to the right in a polka dot blouse, is believed to be Margaret Scott. Most of the girls are in light coloured dresses with dark stockings and boots and most boys are in button up shirts. Jim Warren is standing in the third row on the far left and George Pendygrasse is in the same row, ninth from the left. None of the other students have been identified. Note written pencil on verso of postcard reads: "R. G. McManus 4275 Dundas St. North Burnaby BC. / c/o Terry-Lynn Callender"
Photograph of students in a classroom at Gilmore Avenue School seated on their chair with their hands behind their backs. Their teacher is standing at the back of the classroom in front of a black board. Most girls are wearing bows in their hair and almost all of the students are wearing sweaters (bare light bulbs and empty light sockets are hanging from the ceiling). Note in blue pen on verso of photgraph reads: "Gilmore st. School/ year?" Photograph of a group of students standing in front of Gilmore Avenue School with their teacher. There are five rows of boys and girls aged about twelve years old. The girls are all wearing knee length dresses or skirts with a low waist band and stockings. The boys are mostly wearing button up shirts. Many of the students are also wearing neckties. Photograph of the first class at Kitchener Street School. The students' age vary, with few adults mixed in the group. They form six rows on the front steps of the school building. Most girls have short hair and are wearing knee length skirts or dresses with low waist bands. The boys are wearing either button up shirts or sweaters. Note in blue pen on verso of photgraph reads: "First Class of new Kitchener St. School"
Photograph of the Gilmore School staff from the year 1964-1965. The people are identified as follows (front row to back row, left to right). Row 1: Miss Lynne Atchison, Mrs. Ann Herbert, Mrs. Nannaly Lawson, Mrs. Miriam Benson, Mrs. Alice Wade, and Miss Olive Shuttleworth. Row 2: Mrs. Lydia Derkson, Miss Gloria Allen, Miss Eileen Brennan (nurse), Mrs. Muriel Fletcher, Miss Iris Willis, Miss Margaret Brown, and Mrs. Ruth Calder. Row 3: Miss Mary MacDonald, Mrs. Myra Maloney (School Secretary), Mrs Doreen Metzker (nee Nickle), Miss Clare Clemo, Mrs. Mae Curtis (Reading Centre), and Mrs. Bunny Gaskill. Row 4: Mr. Keith Stainton (Vice Principal ? ), Mr. Robert Thomson (Principal / donor), Mr. Hudson Shannon, Mr. Charlie Johnson (Custodian), and Mr. Harry Seddon. Annotation in pencil on the back of the photograph reads: "Kieth [sic] Stainton back row / left #1 / (principal ?)" and "64-65." Photograph of the Gilmore School staff from the year 1967-1968. The people are identified as follows (front row to back row, left to right). Row 1: Miss Olive Shuttleworth, Mrs. Doreen Weltens, Shirley Young (steno), Mrs. Ruth Calder, Mrs. Dorothy Raines, Mrs. Ingrid ?, Mrs. Lydia Derkson, and Mrs. Queenie Scargill. Row 2: Mrs. Vi Rotta, Eileen Duthie (Secretary), Miss Pam Box, Miss Barbara Hart, Miss Margaret Brown, Mrs. Ruth Carrington (Library), and Mrs. Alice Wade. Row 3: Miss Gloria Allen, Mrs. Bunny Gaskill, Miss Ann Malcolm (Nurse), Mrs. Loa Thorarinson, Mrs. Gladys Heshedahl, Miss Sophie Adams (Sr. Spec), and Miss Sheila Pratt. Row 4: unidentified woman, Mr. Harry Mazur, Mr. Robert Thomson (principal / donor), Mr. Ron Henderson, Mr. Charlie Johnson (Custodian), Mr. Art Robinson, and Mrs. Tracy Wilson. An annotation on the back of the photograph reads: "Harvy Mazur 2nd from left/ [arrow] back row." Photograph of the Gilmore School staff from the year 1968-1969. The people are identified as follows (front row to back row, left to right). Row 1: Mrs. Dorothy Raines, Mrs. Evelyn Boyle (Pri. Spec), unidentified woman, Mrs. Tracey Wilson, Mrs. Ingrid ?, Miss Michi Lee, and Miss Kathy Coles. Row 2: Mrs. Queenie Scargill, Mrs. Lydia Derkson, unidentified woman, Mrs. Bunny Gaskill, Mrs. Alice Wade, Mrs. Ruth Calder, Mrs. Kitty Warren, and an unidentified woman. Row 3: Miss Ruth Carrington (Librarian), Miss Pam Box, Miss Betty Manring (chair mistress), Miss Loa Thorarinson, Mrs Gladys Heshedahl, Miss Ann Malcolm (school nurse), Mrs. Eileen Duthie (School Secretary), and Mrs. Doreen Weltens. Row 4: unidentified woman, Mr. Harry Mazur (Vice Principal), Mr. Norm Johannson (Custodian), Mr. Ron Henderson, Mr. Art Robinson, Mr. Robert Thomson (principal / donor), and Miss Sophie Adams (Sr. Special). An annotation on the back of the photo reads: "68-69." Photograph of the Gilmore School staff from the year 1969 to 1970. The people are identified as follows (front row to back row, left to right). Row 1: Miss Michi Lee, Miss ? Paoli, Mrs. Dorothy Raines, unidentified woman, Mrs. Wendy Matthison, unidentified woman, and Miss Kathy Coles. Row 2: Mrs. Queenie Scargill, Mrs. Tracy Wilson, unidentified woman, Mrs. Kitty Warren, Miss Ruth Carrington, Mrs. Evelyn Boyle, and Mrs. Lydia Derkson. Row 3: Mrs. Marylou Leung, Mrs. Ingrid ?, Mrs. Stella Peterson, Miss Bev Cowie, Mrs. Gladys Heshedahl, Miss Betty Manring, Mrs. Eileen Duthie (Secretary), Miss Pam Box, and an unidentified woman. Row 4: Mr. Nick Calderone, Mr. Art Robinson, Mr. Norm Johannson (Custodian), Mr. Ron Henderson, Mr. Robert Thomson (principal / donor), and Mr. Harry Mazur (Vice Principal). Annotations on the back of the photograph read: "69/70", u.r. "Harry MAZUR/ back row at rt." Photograph of the Gilmore School staff from the year 1970-1971. The people are identified as follows (front row to back row, left to right). Row 1: Miss Brenda Granger, Mrs. Marylou Leung, unidentified woman, Miss Bev Cowie, Miss Pam Box, unidentified woman, Miss Kathy Coles, and Mrs. Doreen Weltens. Row 2: Mrs. Lydia Derkson, Miss Michi Lee, unidentified woman, Mrs. Ruth Calder, Miss Betty Manring, Mrs. Stella Peterson, Miss Tracy Wilson, and Mrs. Kitty Warren. Row 3: Mrs. Queenie Scargill, Mrs. Wendy Matthison, Mrs. Ruth MacKenzie, Mrs. Ruth Cross, Mrs. Gladys Heshedahl, Miss Ann Malcolm (school nurse), Miss Ruth Carrington, Mrs. Eileen Duthie (Steno), and Mrs. Ingrid ?. Row 4: Mrs. Evelyn Boyle, Mr. Harry Mazur (Vice Principal), Mr. Robert Thomson (principal / donor), Mr. Ron Henderson, Mr. Art Robinson, Mr. Nick Calderone, and Mrs. Dorothy Raines. Annotations on the back of the photo read: "70/71" and "Harry Mazur 2nd from left / back row." inscribed in pencil, verso, c.
Photograph of the Gilmore School staff from the year 1970 to 1971. The people are identified as follows (front row to back row, left to right). Row 1: Mrs. Dorothy Raines, Miss Kathy Coles, unidentified woman, Miss Bev Cowie, Mrs. Wendy Mathison, unidentified woman, and unidentified woman. Row 2: Mrs. Queenie Scargill, Mrs. Doreen Weltens, Miss Eileen Duthie (Secretary), Mrs. Evelyn Boyle, Mrs. Stella Peterson, Mrs. Kitty Warren, and Mrs. Lydia Derkson. Row 3: Mrs. Ingrid ?, Mrs. Tracy Wilson, Miss Pam Box, Miss Ruth Carrington, Mrs. Gladys Heshedahl, Miss Betty Manring, unidentified woman, Karen ?, and Mrs. Marylou Leung. Row 4: Mr. Harry Mazur (Vice Principal), Mr. Robert Thomson (principal / donor), Mr. Ron Henderson, Mr. Ed Johannson (custodian), Mr. Nick Calderone, and Mr. John Steele. Annotations on the back of the photo read: "71/72" and "Harry Mazur back row left." Photograph of the Gilmore School. The people are identified as follows (left to right). Front row: Miss Marion Williamson, Miss J. McKenzie, Miss Evelyn Sinclair, Mr. Stanley Griffiths (Principal), Miss Ina Dearing, Miss Peggy Prior, and Miss Georgina Busch. Back row: Mr. T. Chalmers (Vice Principal / donor), Mr. W. McKenzie (no kin to Miss J. McKenzie), Miss Edith Osborne, unidentified man, and Mr. W. Mitchell. 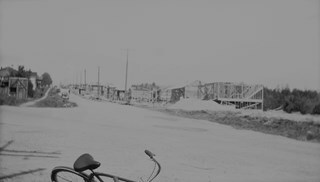 It is noted in the signed donation form that Mr. Chalmers (the donor) served at the Gilmore school from 1940 to 1950, and the photograph was taken with his personal camera. An annotation on the back of the photo reads: "School Staff 1943, Gilmore School (Burnaby) / from Mr. Chalmers." Stamped on the back of the photo: "4860." Photograph of the staff at Gilmore Avenue School. They are lined up in rows by the side of the school. A letter from the donor, who was a teacher at Gilmore Avenue School from 1919 to 1926, identifies some of the people depicted in the photograph. Back row, standing (left to right): Ethel Whitworth, unidentified woman, Dorothy Thompson, unidentified man standing behind Dorothy Thompson, unidentified woman, unidentified woman, Mr. Griffiths (principal), John Burnets, Mr. Pullinger, unidentified woman, Margaret Scott, Miss Keast, unidentified woman. Front row, sitting (left to right): unidentified woman, unidentified woman, unidentified woman, Dorothy Lupton (Mrs. E.W. Rogers), unidentified woman, Esther Wilks (Mrs. Dickson). An annotation on the album page reads: "Gilmore Ave. Sch. Staff. 1926." The photograph shares the same paper mount as HV983.70.4, which is another photograph of the staff at Gilmore Avenue School. Photograph of the staff at Gilmore Avenue School. They are standing and kneeling together in two rows. A letter from the donor, who was a teacher at Gilmore Avenue School from 1919 to 1926, identifies some of the people depicted in the photograph. Kneeling in the front row, first from the left is Dorothy Lupton (Mrs. E.W. Rogers), and kneeling in the front row, wearing a dark dress with a string of beads, third from the left, is Esther Wilks (Mrs. Dickson). An annotation on the album page reads: "Gilmore Ave. Sch. Staff. 1926." Photograph of Gilmore Avenue School, with additions being built. 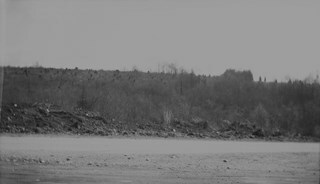 Visible are two cars parked by the school on the right side of the photograph, and construction barricades on one side of the building. An annotation on the back of the photograph reads: "Addition to Gilmore Avenue School / No date." 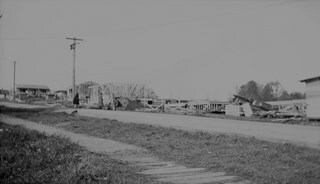 Annotations on the front of the photograph read: "Gilmour & Parker St South 1924" and "Willingdon Heights." An annotation on the back of the photograph reads, "25 feet at ground level / (A Bingham) March 11 1971." Stamped on the back of the photo: "457." Photograph of a woman standing by a giant tree stump in Willingdon Heights. According to an accompanying note prepared by BVM and supported by the inscription on the photograph, the stump was at the southeast corner of Parker Street and Gilmore Avenue in the Willingdon Heights district. It is likely that the woman in the picture is Ada Bingham, wife of Alfred Bingham who took the picture. Annotations on the front of the photograph read: "Gilmour & Parker. South. 1924" and "Toothpick Stump." 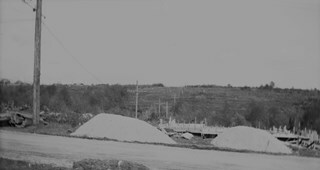 An annotation on the back of the photograph reads, "Wide - 98 inch at TOB [sic - top] / Ground level 25 feet / SE corner of Parker & Gilmour / March 11 1971 / A Bingham." 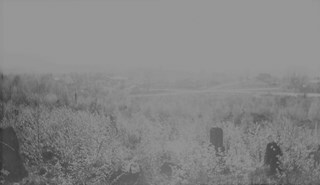 Photograph of a man sitting near the top of a giant tree stump at Willingdon Heights. 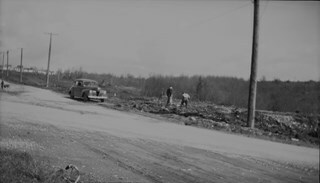 According to an accompanying note prepared by Burnaby Village Museum and supported by the inscription on the photograph, the stump was at the southeast corner of Parker Street and Gilmour Avenue in the Willingdon Heights district. Photograph of the Division 12 Grade 3 class at Gilmore Avenue School sitting and standing outside in rows with their teacher Miss Tough (far right). The twenty boys are sitting in two rows in the front and the eighteen girls and the teacher are standing in two rows in the back. The girls are mostly wearing dresses with round collars and the boys are mostly wearing sweaters over shirts, shorts and knee high socks with boots. Photograph of a class on the front steps of Gilmore Avenue School. The group consists of twenty-one boys and nineteen girls, aged about eight or nine. Most of the girls have short hair and are wearing dresses or skirts just above the knees with knee high socks. The boys are in either shirts or sweaters. Photographer identifies photograph as no. "921"
Photographic postcard of students from about age eight to ten lined up on the front steps of a school in three rows. The school in the background appears to be the Gilmore Avenue School There are eighteen girls, mostly in knee length dresses or skirts with dark stockings or knee high socks, and seventeen boys, in either button up shirts or sailor suits. Annotations on the back of the postcard read: "c. 1915" and "Mr. Smith." Photographic postcard of the front of the Gilmore Avenue School ca. 1915. Children are visible in and around the school. Annotations on the back of the postcard reads: :"Mr. Geoge Smith" and "Gilmore School. / 1915." Stamped on the back of the postcard: "Gilmore Avenue School / 50 Gilmore Avenue / Burnaby 2. B.C." Photographic postcard of students about age seven sitting and standing in three rows in front of the doors of a school. There are sixteen girls and eleven boys. Their female teacher stands by them to the right side of the photograph. Annotations on the back of the postcard read: "Miss Muir?" and "Gilmore School / 1912?" Photograph of the front of the Gilmore Avenue School. Note the doors and stairways added on to the side of the building, and the electric power pole and the power lines in front of the school building. Inscribed in the original negative and printed on the bottom front right of the photograph: "Gilmore Ave. School / Van. Heights. / Vancouver, B.C." Printed on the bottom front left of the postcard: "J.M. Henton. Photographer, Vancouver, B.C." For another postcard of the same image, see HV983.70.2 stored with the postcards. Photograph of students from Grade 4, Division 8, lined up on the front steps of Gilmore Avenue School in five rows. There are fifteen girls, and twenty-five boys, and a female teacher seated on a chair to the right of the photograph. Most girls are wearing shirts with skirts, with cardigans over the top, and some in dresses. Most of the boys are wearing plaid or checkered patterend shirts. Two boys seated in the front row are holding up a chalk board sign with the class and school information written on it, along with the year and the name "Layton" in brackets (the photographer). Annotations on the back of the photo read: "Lorraine" and "Grade 4 / Mrs. M. Pontoni (Teacher)." 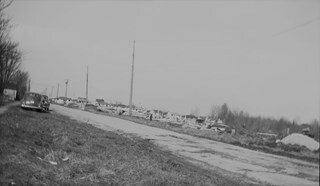 Photograph of Charles Street and Gilmore Avenue (north) with houses in the distance. This is part of the Willingdon Heights subdivision site. Photograph of Grant Street and Gilmore Avenue. This is part of the Willingdon Heights subdivision site. Photograph of Kitchener Street and Gilmore Avenue. This is part of the Willingdon Heights subdivision site. 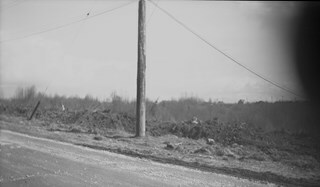 Photograph of Charles Street and Gilmore Avenue with brush along the side. This is part of the Willingdon Heights subdivision site. 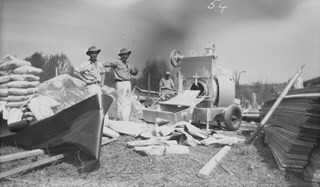 Photograph of the construction of a house at William Street and Gilmore Avenue. This is part of the Willingdon Heights subdivision site. 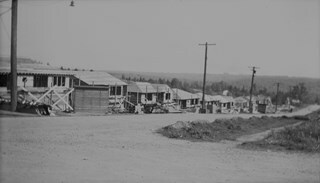 Photograph of William Street and Gilmore Avenue (south) with lumber and houses in the background. This is part of the Willingdon Heights subdivision site. 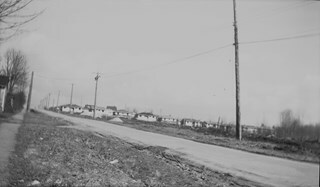 Photograph of Kitchener Street and Gilmore Avenue (north) with cars parked on the left side of the road and house construction on the right side. This is part of the Willingdon Heights subdivision site. 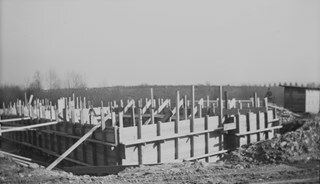 Photograph of house construction at Charles Street and Gilmore Avenue (north). This is part of the Willingdon Heights subdivision site. 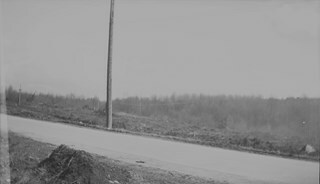 Photograph of Gilmore Avenue and Kitchener Street with cleared land and the beginning of house construction. This is part of the Willingdon Heights subdivision site. 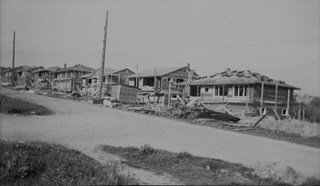 Photograph of Kitchener Street and Gilmore Avenue with houses under construction. This is part of the Willingdon Heights subdivision site. 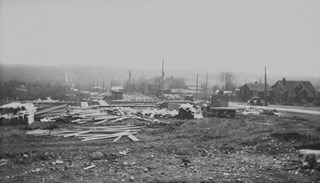 Photograph of Gilmore Avenue just south of Charles Street with a number of houses under construction and piles of lumber. This is part of the Willingdon Heights subdivision site. 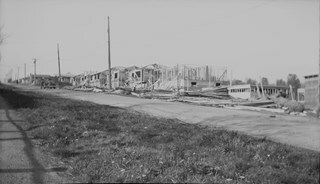 Photograph of Gilmore Avenue and Charles Street with houses under construction along the right side of the road. This is part of the Willingdon Heights subdivision site. 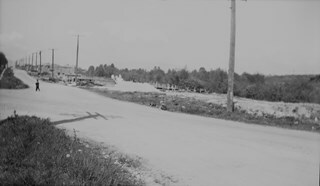 Photograph of the William Street and Gilmore Avenue intersection in the foreground and houses under construction on the left side of the road. This is part of the Willingdon Heights subdivision site. 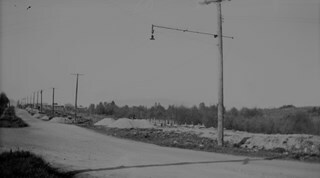 Photograph of the Charles Street and Gilmore Avenue intersection with houses under construction on the right side of the street. This is part of the Willingdon Heights subdivision site.